For those of you not on Facebook...killed the other day on our main compound. 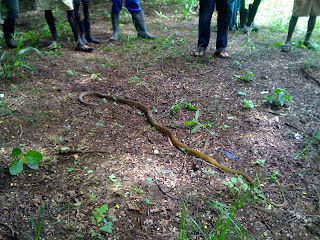 Seems very likely it was a black mamba and was over 8 feet!! I think this is the biggest snake I have seen in all my years here. 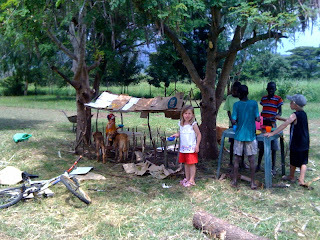 Later we found a baby one on our compound.